crankandpiston.com tests the brand new Ford Mustang on its international launch. Could it be the best one yet? There you have the American love affair with the Ford Mustang. This is not the only time during the Los Angeles launch of the latest generation muscle car that I am hailed by passers-by keen to find out more. Heads are turning wherever I drive. 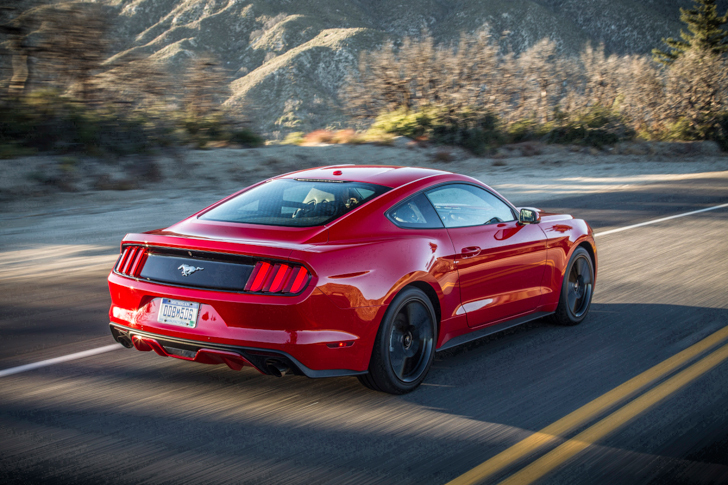 A damn good start then for the new ‘Stang, which represents only the sixth time in 50 years that one of Ford’s most famous machines has had a chassis-up refresh. Visually, there’s no mistaking what it is, the design taking plenty of cues from previous models. The focus is still wisely on the earlier cars, with the fastback roofline and triple tail lights present and correct. But it’s a more angry, aggressive look than its predecessor, with its larger bonnet frowning over narrow LED headlights, underlined by a large front splitter. To this reviewer it’s a bit too fussy and cluttered, but there’s no arguing with the public reaction as I growl along Sunset Boulevard in the California sunshine. Inside there are once again familiar Mustang features, such as the large analogue dials and silver stallion in the centre of the steering wheel. Where the original wheel was a masterpiece of minimalism however, the new one is positively festooned with buttons (I count 18 of them dotted around the spokes). Material and build quality is up on the previous model – not to the level where German brands will be worried, as the lower in the cabin you look, the more scratchy the plastics. But it’s the best looking and feeling Mustang cabin yet, and it also feels the roomiest. For the first time, the Mustang is going to be a global car, sold in markets other than the US and a few select places such as the Middle East. With the world on an eco kick, that means that an engine line-up of only V8s and V6s isn’t going to cut it, which is why Ford has introduced a new four-cylinder engine into the range. The turbocharged 2.3-litre EcoBoost is actually more powerful than the 300bhp, 3.7-litre V6 that will be coming to the Middle East, but vastly improves fuel economy and CO2 emissions, which are used to calculate vehicle tax rates in several foreign markets. The V6 engine isn’t available to try at the launch, so we start off sampling a car with the EcoBoost engine and devoid of the optional Performance Pack, which brings various goodies we’ll touch on later. But even as standard, the Ford comes with plenty of toys, most notably the ability to switch between modes – Comfort, Sport and Track, the latter of which loosens the electronic reins if you want to get lairy. Engine-wise, the EcoBoost does a pretty admirable job of fitting in with the character of the Mustang, even if it has to rely on some artificial noise pumped into the cockpit to keep the atmosphere fruity. Torque is decent when cruising around and with 310bhp it’s not short on power. Only when we get out of the city and into the twisty mountain roads do shortcomings appear. In order to keep the throttle crisp, one needs to stay in the power band, which is rather small. Between 5000rpm and around 6500rpm is the prime place, which necessitates a lot of jumping around on the automatic gearbox lest the pick up become sluggish as it searches for grunt. Such cog swapping gets a touch tedious, especially when the transmission becomes reluctant to let you shift down to such high revs. Through town the suspension is an improvement on the previous Mustang, with the frankly dreadful road surfaces of Los Angeles neutralised well. Up in the mountains, body roll is contained, the Ford leaning on each corner and responding well to the throttle for line adjustment. It’s a shame the steering isn’t a bit sharper though; even with Track mode enabled, it’s a touch vague and light. 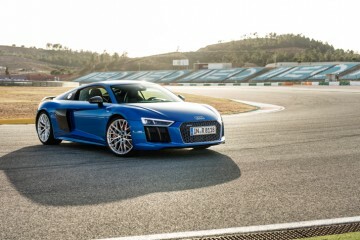 Still, it doesn’t ruin an enjoyable – if not quite scintillating – thrash along some excellent stretches of climbing asphalt. We also try the 5-litre V8-powered Mustang, which brings 435bhp and should keep the horsepower hounds happy until the inevitable supercharged models start appearing. Although we don’t get nearly such a good run (the weekday California traffic severely hampers our progress), it’s clear that for enthusiasts, this is the engine to go for. 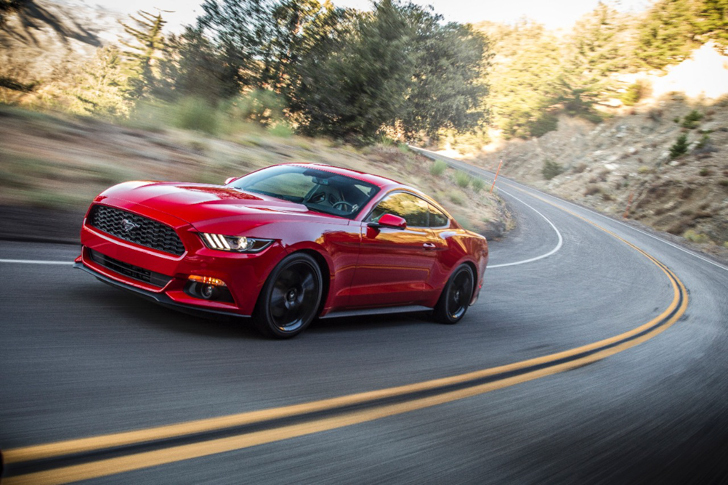 The EcoBoost does a serviceable job 90 percent of the time, but if nothing else the V8 gives the soundtrack that a muscle car deserves; a rich, sonorous roar as the pedal hits the carpet. It’s not just about the noise either; there’s the wide torque band missing from the four-cylinder, that ability to squeeze on velocity without mashing through the gears. 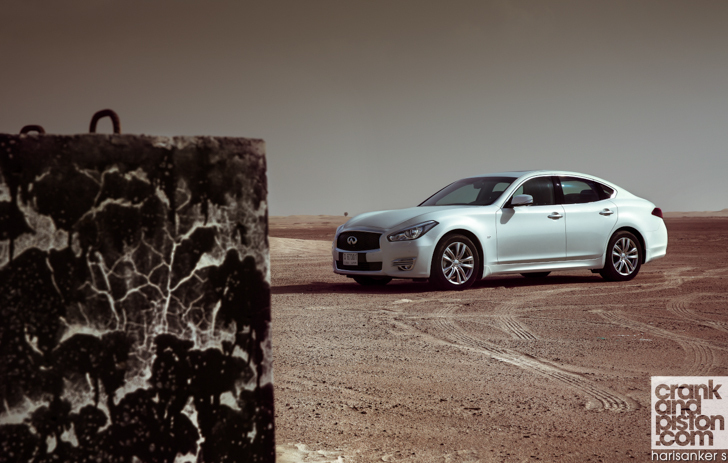 Our V8 test car is equipped also with the Performance Pack and the six-speed manual gearbox. The majority of Middle Eastern buyers will likely opt for the auto, which is a shame, because if you want to experience the Mustang at its best, the shifter version is the better option. Designed by Getrag, it’s a short throw number with more refinement than in the previous generation ‘Stang, and the pedals are well spaced for heel and toe. The Performance Pack adds larger Brembo brakes, stiffer suspension and extra gauges in the middle of the dash, and will be available on all versions. While various levels of gridlock mean we don’t really get to test them out properly, the larger brakes seem a good idea; in the EcoBoost, the standard stoppers are smoking after our little sojourn through the mountains. Analysing the Mustang is slightly tricky, because to an extent it sits in its own little niche alongside the other muscle cars of the moment, namely the Dodge Challenger and the Chevrolet Camaro. Against this competition, the Ford is technically the best: it has more space inside, better quality materials and considerably better road handling. Of these three though, it’s probably the one that’s the least ‘muscly’. 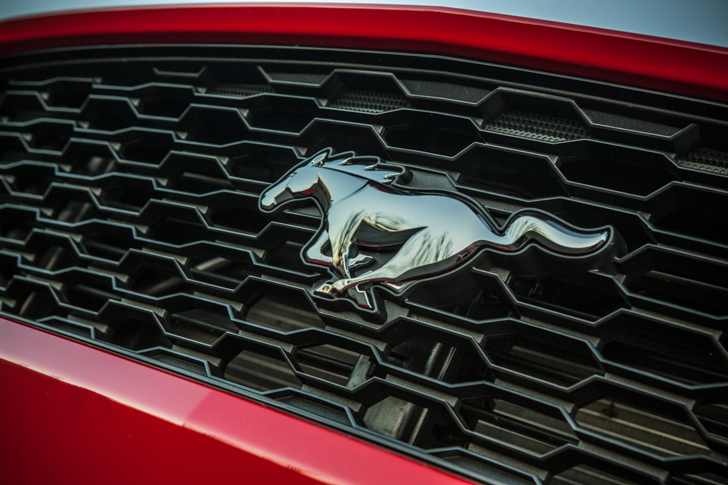 As the Mustang has advanced, with its independent rear suspension and configurable driving modes, it’s moved away from the traditional idea of the muscle car and more towards a conventional sports car. If that’s what customers want, then great, but die-hard muscle car fans might feel it lacks a bit of that blue-collar rawness sported by the Challenger and Camaro. Start comparing to European rivals, and in absolute terms the Mustang falls short against the likes of the Audi A5 and the BMW 4 Series, but it is considerably cheaper. Bring it alongside the Nissan 370Z, which is in a similar price bracket, and it feels less agile and involving, but it’s considerably more spacious and brings more presence to the party. Where you stand on the Mustang depends in large part on what you prioritise. The new model feels like it’s lost a fraction of that uncomplicated appeal that made its name in the 1960s, but it’s gained performance and sophistication. Overall, it’s a better car than any Mustang before it, and should appeal to fans of the heritage and new customers alike.